Matthew 1:18-23 – Now the birth of Jesus Christ took place in this way. When his mother Mary had been betrothed to Joseph, before they came together she was found to be with child from the Holy Spirit. 19 And her husband Joseph, being a just man and unwilling to put her to shame, resolved to divorce her quietly. 20 But as he considered these things, behold, an angel of the Lord appeared to him in a dream, saying, “Joseph, son of David, do not fear to take Mary as your wife, for that which is conceived in her is from the Holy Spirit. 21 She will bear a son, and you shall call his name Jesus, for he will save his people from their sins.” 22 All this took place to fulfill what the Lord had spoken by the prophet: 23 “Behold, the virgin shall conceive and bear a son, and they shall call his name Immanuel” (which means, God with us). El Capitan towers more than 3000 feet over the valley below. Yosemite National Park, California. 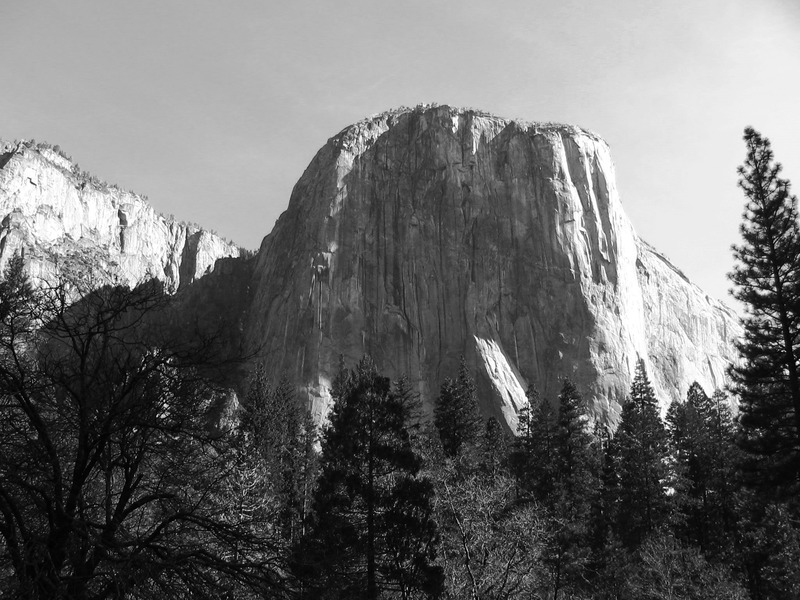 This entry was posted in God is Revealed... and tagged Advent, California, El Capitan, God, Holy Spirit, Immanuel, Jesus, Yosemite National Park, Yosemite Valley by Todd D. Nystrom. Bookmark the permalink.